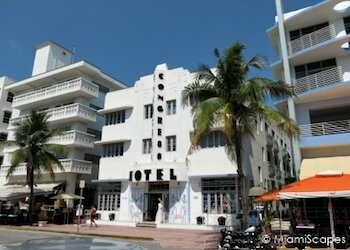 The Annual Art Deco Weekend celebrated every January in South Beach, is one huge street party and definitely the place to be if you happen to be in town this weekend as everything will be happening all along Ocean Drive. 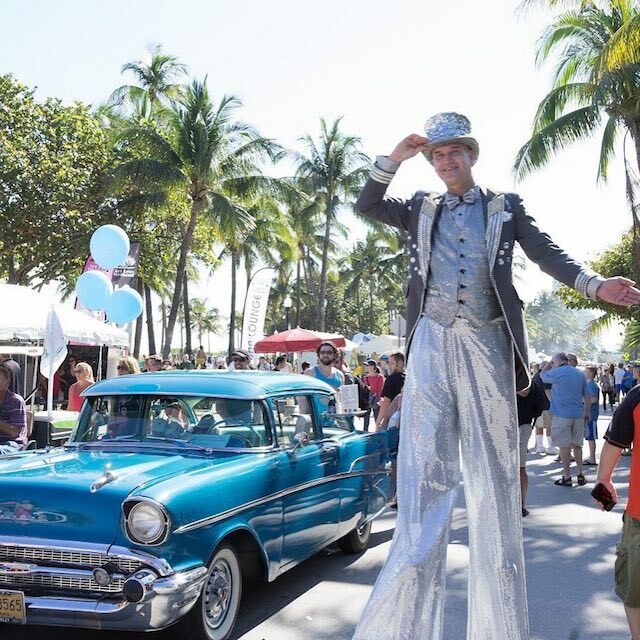 Come for the arts and crafts, the food, the retro fashion shows, the jazz, the classic cars, the outdoor film series, the adorable dog show... or simply to people watch, it's great fun and rapidly becoming one of the most anticipated events in the South Beach entertainment calendar. 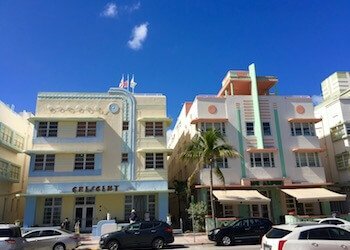 The Art Deco Weekend is presented by the Miami Design Preservation League, and is a tribute to the Art Deco era involving a series of top notch events over this three-day weekend. 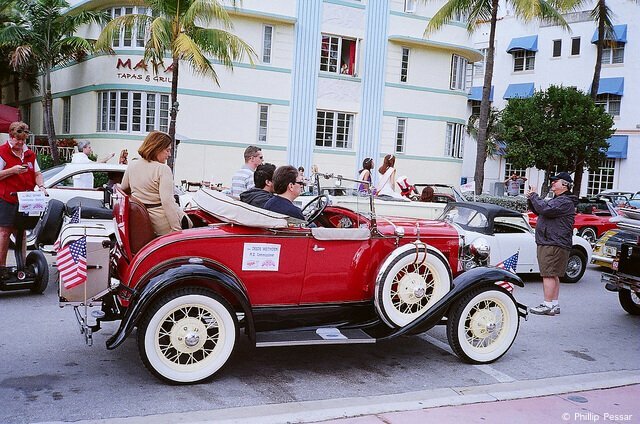 The 2019 Art Deco Weekend will bring as in prior years over 85 different events (most are FREE) throughout the weekend including the old favorites, the street fair, the retro fashion shows, the classic cars, the Bark Deco Dog Show and live entertainment. 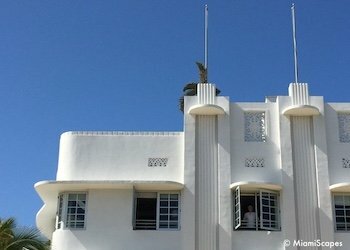 These are some of the highlights at the Art Deco Weekend. The following are details for the 2018 events, stay tuned for the 2019 calendar which we will update when available. 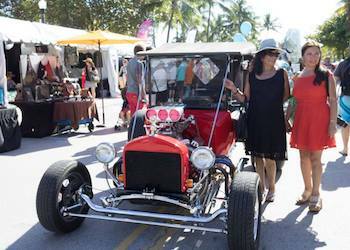 The Classic Car Show - Saturday and Sunday - 10:00 a.m. - 3:00 p.m. 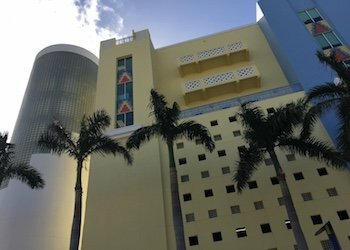 The Kids Club Ocean Drive and 13th Street: Kids crafts, Magic Shows, etc. - Saturday and Sunday - 10:00 to 5:00 p.m.
Live Music, Arts and Crafts, Antiques, etc. 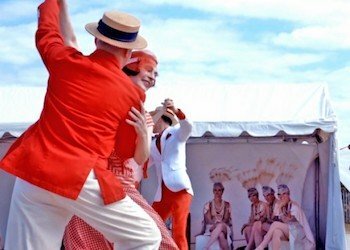 - throughout the weekend, noon to 11:00 p.m.
Jazz Age Lawn Party (ticketed event) - throughout the weekend at the sand dunes on Ocean and 11th Street. So stop by and join in the fun, there will be lots happening over the weekend! 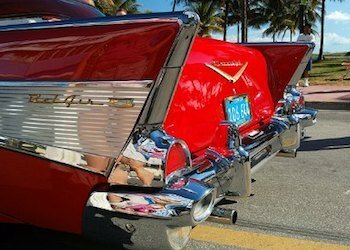 Classic Cars have been a staple of the Art Deco District landscape, and this weekend, for all lovers of vintage vehicles, there will be a great collection of automobiles, trucks and motorcycles of all makes and models from the early 1900s up to 1991. 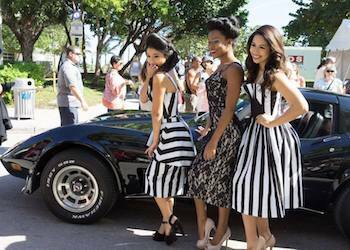 The show is sponsored by the Antique Automobiles Club of America as in prior years. When? Saturday and Sunday - 10:00 a.m. to 3:00 p.m. 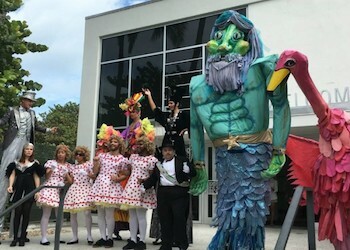 The Arf Troupe is back, our adorable four-legged friends in their funky costumes will be parading around the steps of the MDPL Art Deco Welcome Center. 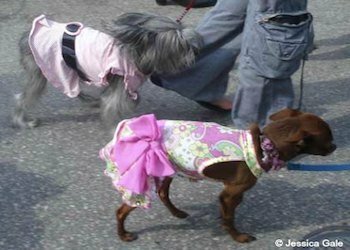 (Attention Dog Owners: you are encouraged to participate and bring your pooches, all dressed up of course, you can pre-register online to participate, also registration on the day of the event starting at 11:30 am to 12:30 pm). Furry friends will compete in the following categories (you may enter your pooch in no more than 3): Miami Dog's Got Talent, MDPL – Miami "Dog" Preservation League Award: Which dog best exemplifies Bark Deco, Waggiest Tail Dog, Best Look-A-Like, Best Rescue, Best Brace (pair of dogs), Most Original Costume, Most "So Miami", Most Adorable (this is a hard one to call), and the ultimate Blue Buffalo Best in Show - The People's Choice. Lots of free arts activities and entertainment provided by numerous non-profits. 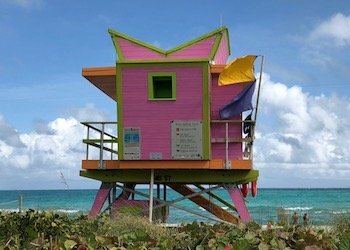 Fun activities: making art deco weekend posters, creating your very own flapper headpiece or dapper hat, making feathered flamingos! 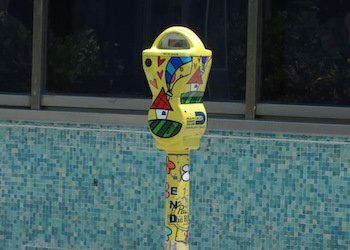 In addition, there will be a Kids's Show Theatre and Live Music. How Much? Free! Special ticketed area for the Fienberg/Fisher PTA carnival fundraiser, including Bounce House, Rock Climbing Wall and Obstacle Course. 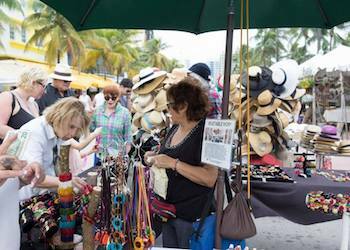 Throughout the weekend all along Ocean Drive from 5th through 15th Streets there will be the tents set up with the many options for arts and crafts, antiques, etc. 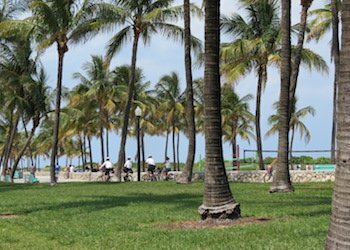 come and browse from 10:00 a.m. to 11:00 p.m.
And chefs and restaurants on Ocean Drive will also have their booths offering their mouth-watering dishes available on the go for festival visitors. 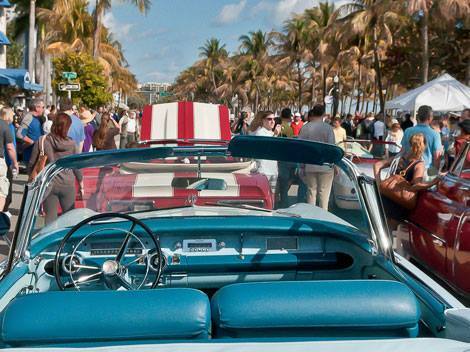 Live street entertainment and Live Music events are organized throughout with a heavy line-up of retro inspired bands. 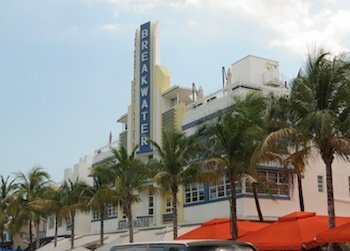 And don't forget to checkout the exhibits and lectures at the Art Deco Welcome Center. How Much? $55 per person. 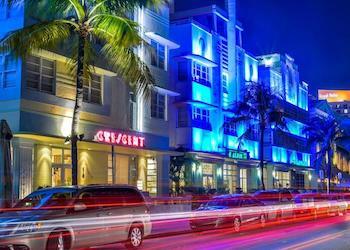 Includes Opening Night Soiree and 2-day unlimited VIP Lounge access. Tickets available on-line and on-site. 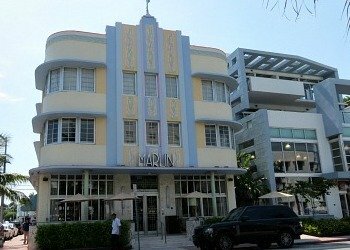 The Miami Design Preservation League offers tours which are one of the best ways to get acquainted with the Art Deco District itself, its history and the many styles and trends prevalent throughout. 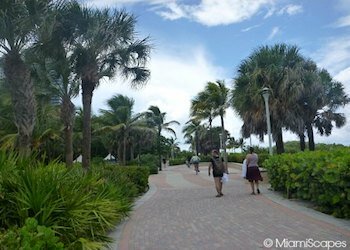 Walking Tours start at $25 per person, slightly more for "cocktail tours" and coach tours. They are conducted by fantastic volunteers, certainly well qualified and very passionate about the District and the movement. 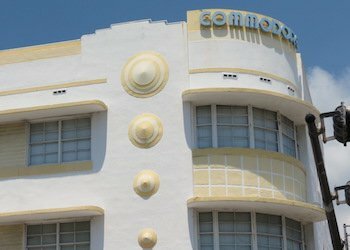 You can find out more and purchase tickets for the MDPL Art Deco Weekend Tours, and here are more options for Art Deco District Tours available every day of the year.